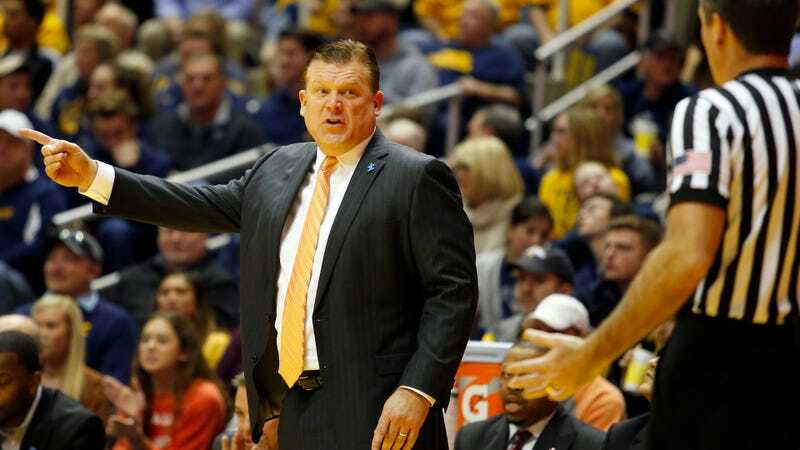 Brad Underwood has left Oklahoma State after just one season, jumping ship for Illinois. The university announced the hiring just one day after Underwood’s Cowboys lost to Michigan in the first round of the NCAA Tournament. He replaces John Groce, who was fired last week after five years and just one NCAA Tournament appearance. Illinois has reportedly signed him to a six-year contract worth $3 million a season. Just spoke with an Oklahoma State official and was told Brad Underwood flew back with the team after the Michigan game Friday, landing at 8 pm CT. There was no indication he was leaving. School official was stunned and learned about his hiring at Illinois via twitter. Illinois has not said whether or not Underwood will be with the team on Monday for their second-round NIT game against Boise State. Former Groce assistant Jamall Walker has been serving as interim coach for the tournament.